When you want to buy a new car, it is a good idea to wait until the fall months. It is during this time of year that many dealers will offer their best car deals. Finding fall deals on a new car can put you in the driver’s seat of that car you have been looking at for some time. One of the main reasons for excellent fall deals is that dealers are getting ready to put next year’s models on their lots. Before they come, they have to make room by trying to sell this year’s models, which is why you may be able to find best car deals at this time, says the Wall Street Journal. Before you buy any car, Consumer Reports suggests that you should do your research first. This may even be more important if it is a new model, since the bugs may not yet have been worked out. In another article, Consumer Reports says that a good deal on a car is not worth it if the car just does not meet up with reasonable performance or expectations. You need to look at features like fuel economy, reliability, ratings – when compared with similar cars, reviews, etc. Although dealers may offer a discount off of the MSRP, a buyer should not be willing to stop there. Because dealers are anxious to get cars off their lots, it may be possible to get an even better fall deal through further negotiation. This is how you can get your best car deals. Cars.com advises that you do not agree to take a rebate, or even zero percent financing, until you have tried to negotiate your best fall deal with the dealer. Remember that a rebate comes from the manufacturer and that no money is yet being taken off the price of the car by the dealer if you take it. Naturally, they hope that you will stop there because it will mean more money in their pocket. Instead of agreeing too quickly – even if they say that is the best deal available – keep trying to see if they will take more off the price. In the fall, they need to be more willing to reduce their own profit to get cars off of the lot. One thing that may help you find fall deals on a new car is the change in the economy in general. CBSNews.com mentions that the tsunami and reactor problems in Japan, as well as rising gas prices, raised car prices this past spring and summer. But with Japan producing more cars now and the drop in gas prices, you can expect to find better deals this fall. 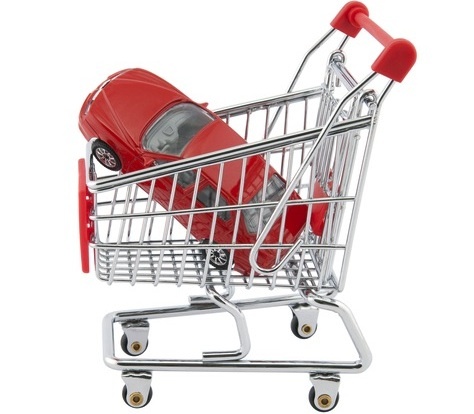 Comparison shopping is another way to get a great fall deal on your new car. Not only do car dealers vary in the price that they sell their cars for, but similar sized models will also fluctuate in price. This may mean that you could get a better car for a similar price, once a discount is put in effect to move the cars off the lot. Sometimes higher priced cars drop considerably, which may make them even more affordable.